Whoever coined the phrase “sleeping like a baby” obviously never had a baby to contend with. As the parent of an infant, you’ll be spending many long, tired hours coaxing and pleading with your your little one to go to sleep. And you’ll quickly figure out which white noise machine, vibrating rocker, soft light projector or automatic swing soothes their fussing and helps them drift off best. Naturally, the most important item in your “baby sleep toolbox,” and the cornerstone of a healthy, calm, and restful nursery is a good crib mattress. And, naturally, you’ll want to find the very best crib mattress for your baby. So which crib mattress is the best? When shopping for adult mattresses, the best is largely a matter of budget, style, and comfort preference. When purchasing a crib mattress, however, you’ll be looking at different factors. There are specific parameters which define infant and newborn crib mattress safety, durability, and quality. Also check out our ranking of best mattresses for older kids and for toddlers. Like adult mattresses, crib mattresses are available in two basic types: foam (resilient latex or synthetic material) and innerspring (coiled springs surrounded by cushioning). Foam mattresses tend to be lighter and more flexible, while innersprings have a more traditional-mattress feel. When made with good materials, both styles can be equally safe and durable. Many also come with a dual-sided design, with a very firm side designed to safely support a newborn, and a cushier side that’s well-suited for a toddler, allowing you to flip the mattress for greater comfort as your child ages. Whichever type you choose, you’ll want to be sure you mattress is wide enough, firm enough, and heavy enough, and made with good materials. While there are infant mattresses on the market for as little as $50, you should be prepared to spend $100 or more to get a safe and long-lasting crib mattress. Your baby spends plenty of time on their crib mattress. In fact, a newborn baby sleeps up to 18 hours a day. 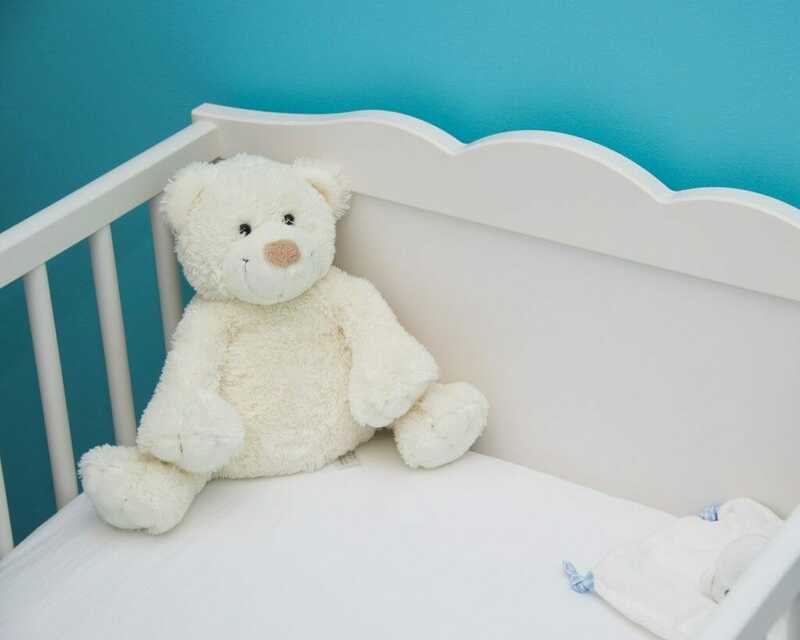 They’ll also be using their crib mattress for a long time- most little ones don’t transition to a “big kid bed” until they are about three years old. With that in mind, think of your infant’s crib mattress as a long-term investment and look for the best safety and quality you can afford. The phrase “baby soft” was not invented to describe baby mattresses. Far from sleeping on a fluffy cloud, you’ll want your baby curled up on a firm mattress that supports their body, rather than conforming to it. A soft mattress (or soft bedding) can envelop a baby’s face, and pose a serious risk of suffocation or sudden infant death syndrome (SIDS). Look instead for a firm foam or innerspring crib mattress. Try pressing down on the surface of the mattress- it should quickly spring back when released. A foam mattress should be heavy, dense and highly resilient. An innerspring mattress should have a high count of thick-gauge steel coils, and come with border rods, the wires that wrap around and reinforce the mattress edges. Innerspring mattresses, unlike foam, are constructed from multiple layers of different cushioning materials, and more layers usually indicates a higher crib mattress quality. Look for a waterproof cover or purchase one separately to make your crib mattress more sanitary and durable. A waterproof cover is will protect your mattress from overnight accidents, protect it against stains, and add a layer of breathability. What Makes a Safe Baby Mattress? Apart from firmness, you’ll want to consider the crib mattress fit, cover, breathability and materials to determine its relative safety. First of all, a mattress should fit your crib snugly, with no gaps where the baby could get caught or roll into. No more than two fingers should fit between the mattress and crib sides. Opt for a mattress with a thick, durable cover which will repel dust and mites, and which can be easily cleaned. Many covers are washable and/or hypoallergenic. More “breathable” mattresses are preferable, too, as they allow air to circulate, providing better temperature regulation, and staying fresher. Materials matter, too. Many parents prefer mattresses made with fewer or no chemical or synthetic materials. Traditional mattresses are constructed with synthetic fibers, foams and flame retardants, and some parents are concerned by the potential for chemical off-gassing. Natural crib mattresses, on the other hand, are made with materials such as wool, cotton or latex. Finally, organic crib mattresses are made with natural materials which have not been treated with processing chemicals or pesticides. Sadly, there are no federal legal standards which regulate what materials can or cannot be called “natural,” “green,” “organic,” or “chemical-free.” There are, however, independent third-party certifications like GreenGuard and Certi-PUR that set quality standards for freedom from lead, phthalates, volatile organic compounds (VOCs), chemical compounds and other synthetics. If you opt for a natural mattress, you’ll need to examine the crib mattress’ materials and their processing closely. And if you opt for a conventional mattress, it is recommended that you allow it to air out for several days before putting your baby to sleep on it. Our ranking of the 10 Best Crib Mattresses is based on a wide survey and analysis of the most popular mattress brands. We’ve weighed each in terms of the priorities that matter to you: Safety, Quality, and Value, using multiple factors to measure each score. Quality (40%): Extent and length of mattress warranty. Relative quality of mattress cover. How cleanable the mattress is. Natural vs. synthetic materials. Mattress weight. Safety (40%): Ability to deter dust mites, bed bugs, and bacteria. Firmness level. Extent to which mattress off-gasses or produces a chemical odor. Breathability and/or temperature regulation. Quality of mattress cover. Value (20%): Price of the mattresses divided by the number of quality and safety points awarded. Newton Baby is the leader in the crib mattress field, and has received coverage from a number of high-profile sources, including the New York Times. This US-based company is the nation’s number one crib mattresses manufacturer, and offers an outstanding balance of top quality, impeccable safety and great value. The Wovenaire is notable for its superb breathability, and is made from with a food-grade polymer, which yields a surface pure enough to eat off of. The fabric is hypoallergenic, and free from chemical emissions and fire-retardants, and has been awarded a Greenguard Gold certificate, recognizing it for low emissions. The Wovenaire’s patented 3-D spacer cover also contributes to superior air circulation, thanks to air pockets created by interweaving dual linings. All this breathability means that the mattress itself, as well as the cover, can be cleaned by immersing in water and allowing to air-dry. This is also the firmest mattress in our ranking of 10 Best Crib Mattresses for Newborns, a big plus for safety. The mattress is priced on the higher end at $299, but customers interested in the Newton Wovenaire Crib Mattress can take advantage of a 100-night free trial period and rest easy in their investment with a lifetime limited warranty. The biggest selling point of the Lullaby Earth Breeze Crib Mattress is its versatility. It’s highly breathable, allowing air to pass through freely, and counteracts the common problem of breathable mattresses (mold, dust and mite accumulation) with an inner layer which is waterproof, hypoallergenic and impermeable to mold and debris. It’s also fully convertible. 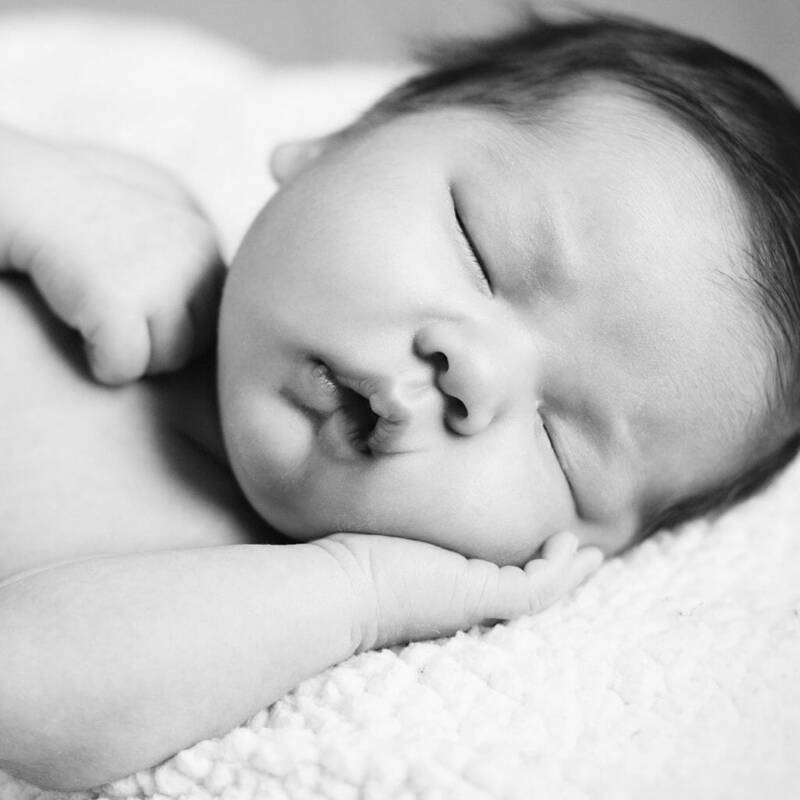 While firmness is an absolute safety requirement for newborns and young infants, toddlers can safely sleep on a softer surface, and prefer to do so. The Lullaby Earth Breeze Crib Mattress has a firm side for newborns and a soft side for toddlers- simply flip the crib mattress when your little one ages up. Like the Newton Wovenaire Crib Mattress, it is fully-washable, made with food-grade materials, and has earned a Greenguard Gold certificate, indicating that the Lullaby Earth Breeze is free from phthalates, leads, polyurethane and flame retardants. This top-quality and versatile mattress is priced at $279, and comes with a 30 day return policy and Lifetime Limited Warranty. Simmons, one of the nation’s leading brands of full-sized adult mattresses, has the expertise to deliver a top-notch crib mattress. The Simmons BeautyRest line of innerspring mattresses has been around for over 100 years, making the Simmons Kids BeautyRest Crib Mattress Sleepy Whispers a reliable and reputable choice. This innerspring model is made with no less than 231 luxury Pocketed Coil Springs for firm and even support, and features reinforced edges and border protection and patented Innofoam corner protectors, which make the mattress more durable and a better fit for standard cribs, adding to safety. It is one of the firmest and heaviest mattresses in our Best Crib Mattresses ranking, both factors which reduce the risk of SIDS and suffocation. The mattress is American-made, and is Greenguard Gold and CertiPUR-US certified, indicating freedom from VOCs. Instead of chemical flame retardants, the BeautyRest Sleepy Whispers features a non-toxic and all-natural cotton fire protection wrap. The dual-sided design features a firm side suitable for infants and a more plush side that can be used for toddlers, by simply flipping the mattress as the child ages. The mattress cover is waterproof, stain-resistant and is made from medical grade materials. At a price of $119, this is one of the most affordable options included in our Best Crib Mattresses ranking, and comes with a limited lifetime warranty. For the uncompromising eco-friendly purist, the Babyletto Coco Core Mattress delivers the ultimate in green and natural crib mattresses. The Coco Core is crafted from all-natural cotton, coconut coir (coconut husk fibers), and latex, and the raw materials are OEKO-TEX 100 certified for purity. The mattress is free from polyurethane, soy, vinyl, PVC, chemical flame retardants, dyes, allergens, phthalates, PFCs, synthetic latex, and VOCs. The food-grade polyester cover is waterproof, easy to clean, and hypoallergenic, resistant to dust, mites, and allergens. Both the mattress and cover are also washable. Square corners and a heavy weight make for a safer sleeping surface. The Babyletto Coco Core Mattress comes with a 10-year warranty and retails for $269. This high-quality, American-made, innerspring, dual-sided mattress from DaVinci delivers top quality at an affordable price. DaVinci is a highly popular and trusted brand for cribs and crib mattresses, and has won a number of awards from well-known parenting resources like Mommyhood 101, BestCovery and Fatherly. Their 100% Non-toxic Ulimatecoil Crib Mattress promises complete freedom from polyurethane foam, vinyl and chemical flame retardants. The mattress is constructed from 260 15.5 gauge coils surrounded by polyester fiber fill. The core is surrounded by a durable medical-grade, waterproof cover, which resists allergens, dust, mold and mites. Side air vents improve breathability and, along with the innerspring coils and bordering wire, distribute the baby’s weight evenly for a safer sleeping position. The dual-sided design allows parents to flip the mattress over when their child becomes a toddler, and is ready to graduate from a firm sleeping surface to a more plush one. This high-quality and versatile mattress is modestly priced at $149.00, and comes with a 25-year warranty. Naturepedic has been a popular brand in newborn and infant crib mattresses for some time, and has a strong reputation for safety and quality. Their popular NoCompromise Crib Mattress features waterproof seamless edges, organic cotton padding, thick-gauge innerspring coil construction, a firm surface, and the heaviest weight of any product surveyed for our ranking of 10 Best Crib Mattresses. The cover is made from organic cotton and food-grade polyethylene, repelling dust, mites and other allergens. It is Global Organic Textile Standard (GOTS) and GreenGuard Certified, indicating that the mattress is free from pesticides, chemical flame retardants, phthalates, and other chemical additives. The Naturepedic NoCompromise Organic Cotton Crib Mattress is made in the USA, and the cotton used in the mattress and cover are also grown domestically. Dual sides for infants (firm) and toddlers (plush) mean that the mattress can be flipped over as the child ages for long-term comfort and safety. This flexible, green, and safe mattress retails for $279, and boasts a lifetime limited warranty. Sealy is one of the nation’s top manufacturers of adult mattresses, and they deliver the same high quality and durable construction in their crib mattresses. The Sealy Soybean Foam Core Crib Mattress is crafted from durable soy-derived foam, surrounded by a hypoallergenic cotton wrap and waterproof cover. The Sealy Soybean Foam Core Crib Mattress is CertiPUR-US certified and GreenGuard Gold certified, and both the mattress and its source materials are made in the USA. This extra firm mattress provides a very safe infant sleeping surface, and snug, square corners fit tightly into standard-sized cribs. 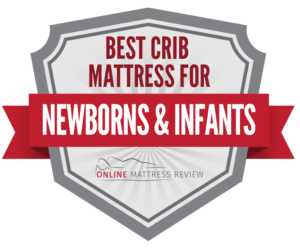 The crib mattress comes with a lifetime limited warranty and, at only $96.61, is by far the most affordable of any mattress we’ve surveyed for our ranking of 10 Best Crib Mattresses for Newborns and Infants. There are many green, natural and organic mattresses on the market, made with natural components, but few can compare to the Natural Mat Quilted Coco Mat for complete purity. From inside to outside, this award-winning mattress, designed specifically with newborns in mind, is constructed entirely from organic materials. The core is constructed from coconut coir (husk fibers) bonded with natural latex and cushioned by local and organic lambswool tufting, all of which provides superior breathability and temperature regulation for maximum safety. The 100% cotton cover is marine washable and OEKO-TEX® certified hypoallergenic, guarding against dust, mites, molds, and other allergens. This newborn and infant crib mattress comes with a five-year warranty, and retails for $384.00, a higher price point, but one justified by uncompromising quality, and supplemented by a 5-year warranty. The Colgate Eco Classica III Crib Mattress is a more eco-friendly option in economical foam mattresses, and offers the versatility of a dual-sided crib mattress. Like the Lullaby Earth Breeze Crib Mattress, this crib mattress has a firm side appropriate for newborns and infants, and a plush side ideal for toddlers, so your child can enjoy both safety and comfort as they age. The cover is waterproof, hypoallergenic and organic. The mattress is American-made from natural plant oils, and has a thickness of 6 inches. The Eco Classica II has earned both the CERTI-Pur and GreenGuard Gold Certifications, indicating freedom from VOCs, phthalates, leads, polyurethane and fire retardants. This versatile and safe mattress costs $219 and has a lifetime limited warranty. Hypoallergenic and free from chemical flame-retardants, Lullaby Earth Healthy Support is a good value in crib mattresses. The mattress is waterproof for sanitary and easy cleaning and is made in America from food-grade polyethylene, without the use of formaldehyde, perfluorinated compounds (PFCs), pesticides, polyurethane foam, vinyl or PVC. The Lullaby Earth Healthy Support crib mattress also features an optional dual-sided design, with a firm side for infants and a softer side for toddlers, so they can stay both safe and comfortable as they grown with a simple flip of the mattress. 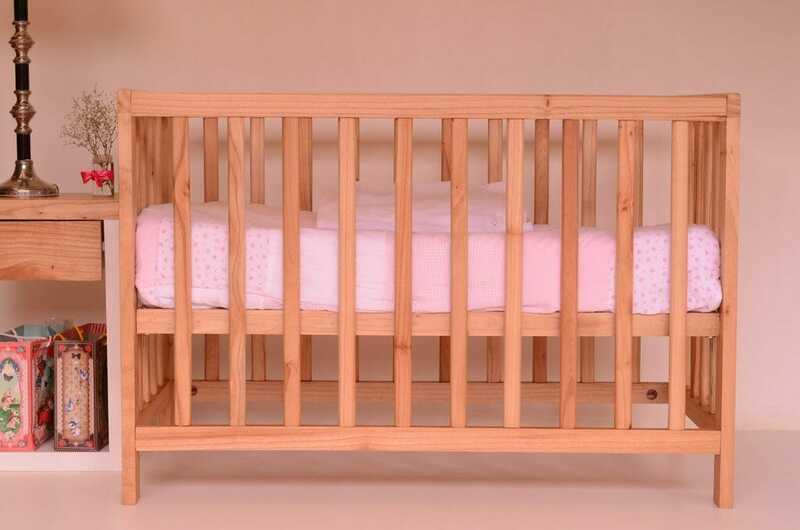 Square corners mean this mattress fits standard-sized cribs especially snugly, for added safety. This mattress is reasonably priced at $169.99 for single-sided (or $199 for dual sided), and features a lifetime limited warranty. That wraps up our ranking of the top mattresses for babies. We hope it helps you make a confident decision.